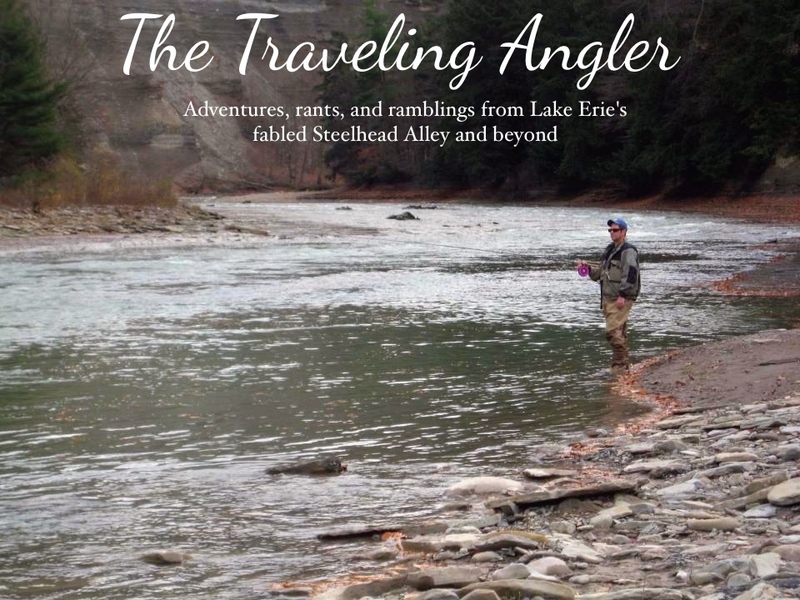 With another steelheading season quickly approaching, a new class of steelheaders will be taking their first casts. Every year, I have newbies come up to me and ask questions on how to cast a centerpin. Some do their homework before hitting the water and others need to hit the books. Here are some of the common rookie mistakes I see on the water. Wrong Rod- Using a 6' bass rod for steelhead isn't going to catch you a lot of fish. Long rods are critical in achieving drag free drifts and float control. The best rod for a novice should be a 10'6" rod. Stores such as Gander Mountain sell them starting off at as little as $50.00. Incorrect Float - The worst floats for steelhead are the large plastic ones with the metal plug. Not only do they make a lot noise when they hit the water, but the metal plug pinches the line and weakens it. The end result is when an angler gets snagged, the line will snap and the float is gone. The newbie steelheader should have two types of floats - one for fast water and slow water. Fatter floats are better suited for riffles and runs. Long slender floats are great for pools. Improper float size is another newbie mistake. I've seen floats big enough to be classified as marine buoys. They maybe easy to see but light takes will be missed. Use the smallest float possible and the colored tip should be the only thing visible. The floats are Ravens because all of the stems are the same size unlike Drennan floats. Missed Takes - Steelhead takes come in a wide range. Some hits are hard and others are really light. During the winter months, when the water is cold. Steelhead tend to be more sluggish. More than often the takes can be subtle and many rookies believe they've bottomed out and don't set the hook. When ever the float goes under I set the hook, regardless if it's slow or fast. Reading Water - I believe in the saying "10% of anglers catch 90% of the fish" This can make or break a rookie steelheader. Reading water is very difficult in regards to what's at the bottom. I tell newbies to think like a fish. Where would I hide? When the water is cold, where would I hold? When steelhead first enter a river, they seek out deep pools with cover or long sweeping riffles. The reason for this behavior is steelhead are often wary entering shallow water from a deep lake. During the winter, steelhead will seek out slow flowing pools. The best place for steelhead to hold is at the tail end of the pool. Tailouts deflect the current as the bottom starts to rise. This allows the fish to expend less energy. A pair of polarized sunglasses also helps. Poor Etiquette - In the quest for the first fish, manners often take a backseat. Nothing drives a veteran steelheader crazy, then a newbie wading out to retrieve a snagged hook or starting to fish 15' below them. Take the time to watch others fish and ask questions. Fishing the same hole - Hole beating isn't very productive. Most rookies tend to fish not very far from the parking lot. These spots usually get pounded hard and the fish gradually start to wise up. Not to mention some of these spots will be packed. The best advice is to go off the beaten path. Not only you find peace and quiet but a lot of fish for yourself. Giving Up - Steelhead are a challenge and I have seen some newbies throw in the towel after a couple of weeks. Fishing is not catching and it does take time. The best advice I can give is research on the internet, read some books, join a fishing club or ask a veteran to take you fishing. Using Fireline as a mainline - Believe it or not, I remember running into a newbie who had a centerpin and his mainline was 30# Fireline.